NARUTO: HEY HINATA WHY ARE YOU SAD ALL OF THE TIME? 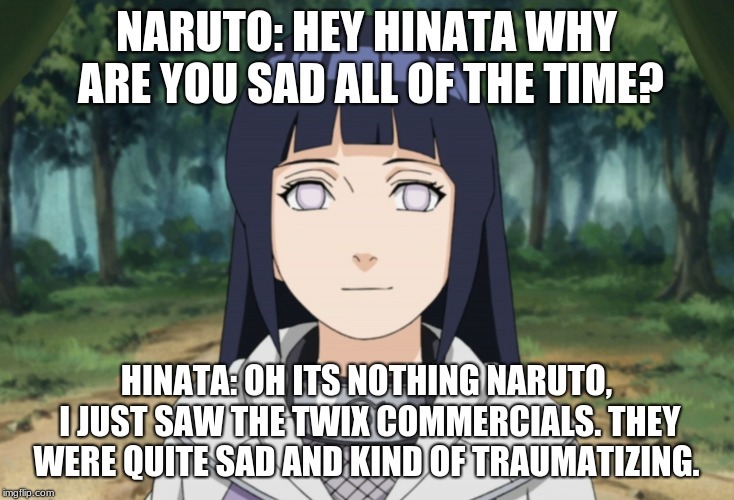 HINATA: OH ITS NOTHING NARUTO, I JUST SAW THE TWIX COMMERCIALS. THEY WERE QUITE SAD AND KIND OF TRAUMATIZING.